"A five-point strategy for yielding more brilliant outcomes in your projects, teams and organizations, leading to more brilliant businesses, communities, and societies, and a brilliant world." 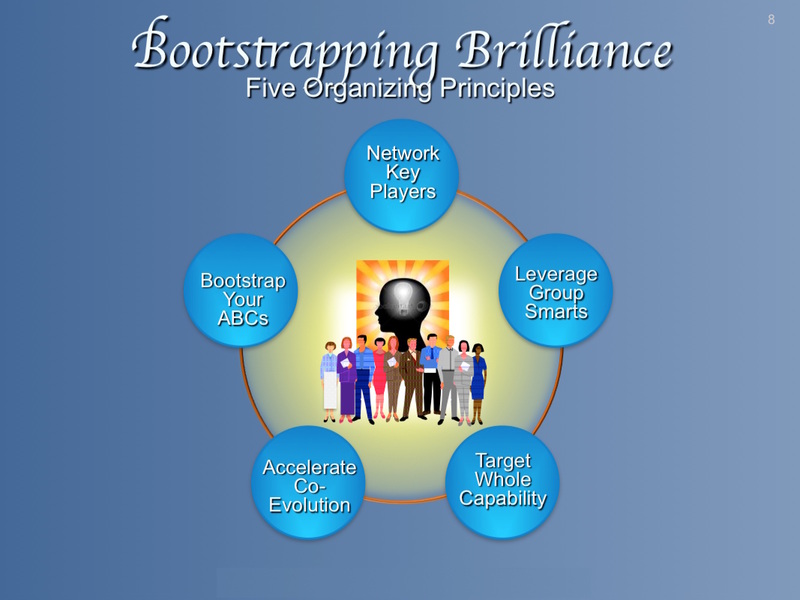 Bootstrapping Brilliance™ is a practical strategy for increasing the capacity for innovation and systemic transformation in groups, organizations, networks and societies, while increasing their Collective IQ. Also known as Bootstrapping Innovation™, this strategy is designed to help the organization jump the curve more rapidly from the current path of doing business and transforming itself, to a future more brilliant accelerative path. For Lean, Agile, Exponential and Design Thinking practitioners, this strategy dovetails beautifully for added leverage and acceleration at scale. For a summary overview, see our Bootstrapping Brilliance Highlights. 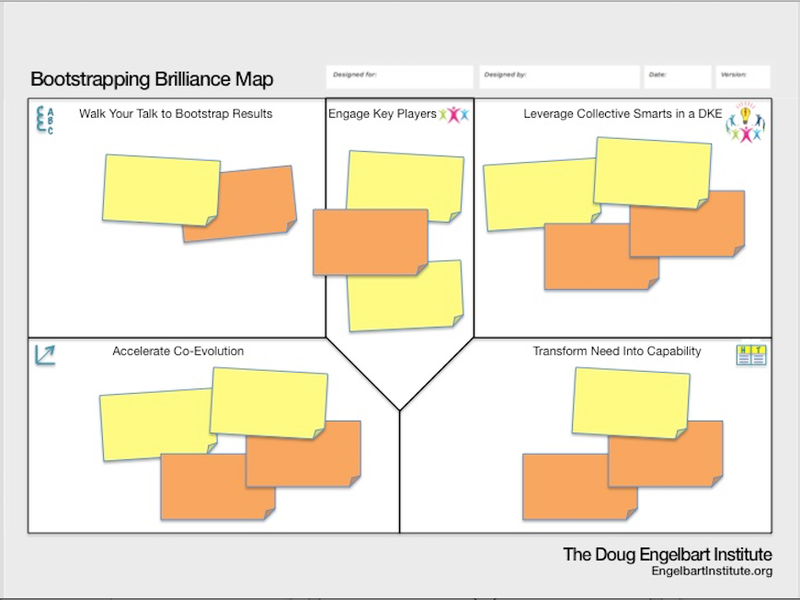 Bootstrapping Brilliance is a distillation of Doug Engelbart's proven strategic vision put to practice. It is essentially the same strategic approach he applied in his own research team for a powerful multiplier effect with continuous breakthrough results, which he continued to refine and teach throughout his career in key lectures and management seminars now available at the Engelbart Academy. "While Demming provided the improvement approach for the industrial age, Doug provided the innovation approach for the knowledge age." You can apply these tools alone, or as an extension to your Lean Startup practice (or equivalent). Lean Startup lays a great foundation for Bootstrapping Brilliance, and offers a large, inclusive, experience-rich community with easy-to-use tools and loads of case examples. Here are links to the basics of both practices. Bootstrapping Brilliance and the Great VCU Bike Race Book - see how this educational visionary launched an award-winning networked learning initiative putting these strategic accelerators to best practice. How these rural initiatives in Uganda are already meeting the Engelbart Challenge - see how one innovative residential school for girls in Uganda has put these accelerators to best practice. 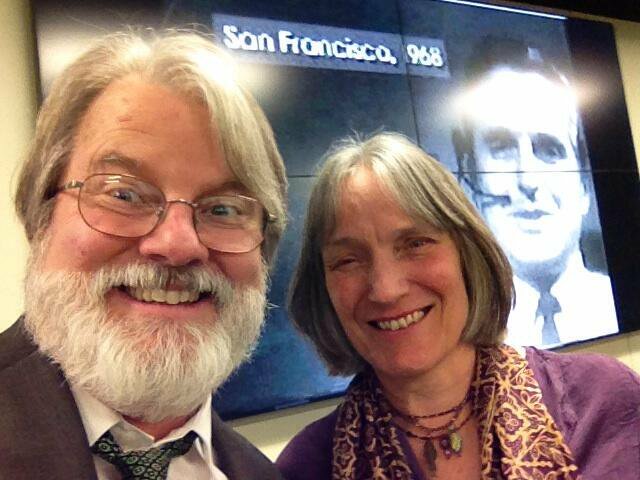 NMC: Bootstrapping Innovation the Doug Engelbart Way - see how this innovative consortium of educational institutions has applied these strategic principles; read their story, watch their presentation. "Bootstrapping Innovation provides a structure for empowering people to solve complex problems together -- leveraging the untapped potential of people, knowledge, and tools -- to help us make smarter choices, achieve more brilliant outcomes, and increase innovation capacity and overall effectiveness."